Pfc. Byron F. Baker, Jr. son of Mrs. and Mrs. B. F. Baker, Sr., attended school in Frederick. 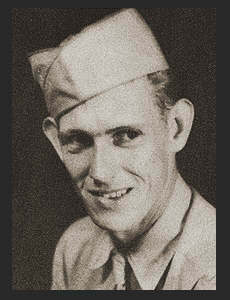 Entered the Army in Nov. 1942, trained in Camp Roberts, Cal., Camp White, Ore; served in the Hawaiians. Awarded Good Conduct Medal.